From pictures of students in the 80s walking by the library to old sweatshirts with the Mason logo on it, the exhibit is a small museum that chronicles student life in Mason over the past 50 years. In this exhibit, you will find yearbooks that show pictures of all 70 students in the class of ’68, 52 of whom were handed their diplomas on graduation day. You will also find an old black and white silent parody of Doctor Jekyll and Mr. Hyde filmed by the students. The film gives a feel of what it was like at the time, showing clips of the rugby team and cheerleaders as well as some images of Fairfax and DC. Bob Vay, Exhibitions Archivist at the Special Collections Research Center, was able to put this exhibition together thanks to the large collection of items available at the Special Collections. The Special Collections works to obtain and preserve historical documents. It is where you can find old articles from the Fourth Estate, tickets from the time when the Mason basketball team made the Final Four, books that date all the way back to the 15th century and even the original plans created by Robert E. Simon when he was designing Reston (which engineers sometimes borrow from the department when they need to go back to look at the original design). You can find all the historical items offered by the Special Collections Center at scrc.gmu.edu, or you can follow them on Twitter and Instagram at @gmuscrc. 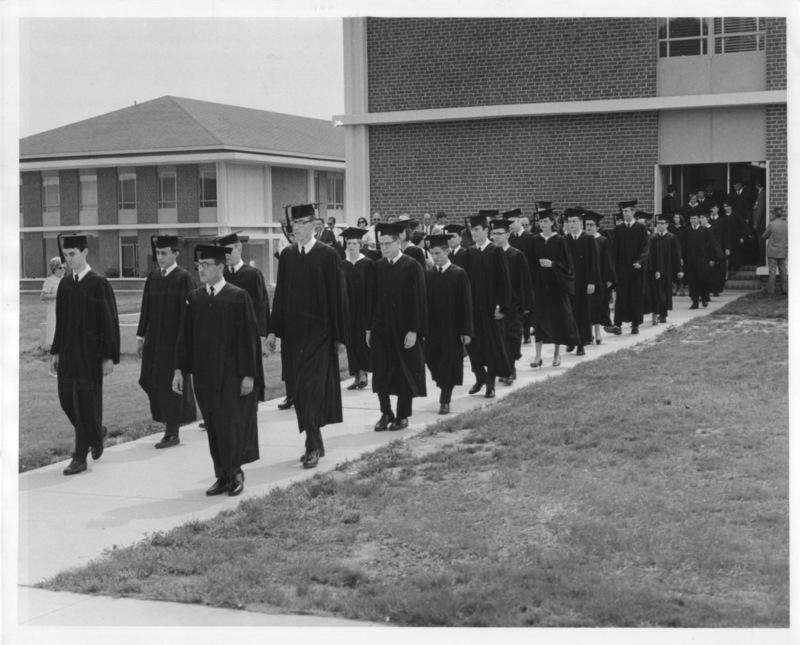 Even though the university celebrated the Founding Patriots, as they are known by the Alumni Association, in June on the 50th anniversary of the day they graduated, faculty members wanted to show current students the road that Mason has travelled so far. 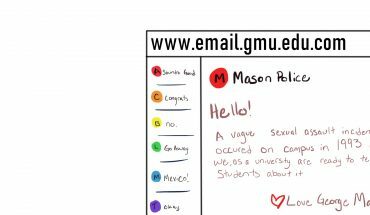 “The university wanted to celebrate 50 years of Mason,” said Vay. And there is much to celebrate. 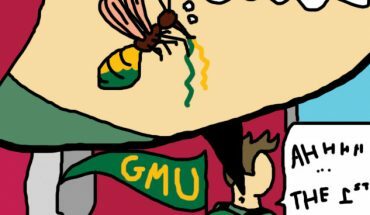 George Mason University went from being a branch of University of Virginia that had only 300 students, to one of the largest universities in Virginia. It is a celebration of how the Founding Patriots “overcame apathy and created school spirit,” said Vay, setting the base for future Mason Patriots to continue on the path they started and help the university grow. Among the things the Founding Patriots accomplished was to vote on the school colors (you could’ve been wearing blue on graduation day), Mason day, a fraternity, and some sports teams,including baseball, basketball, rugby, and soccer. Looking at the exhibit, it is obvious that our young school has truly been transformed by the hard work of its students and staff, and it is a reminder that everyone here at Mason is writing history for future generations of Mason Patriots.